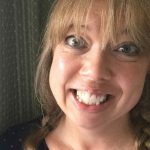 Hello there, today we are talking birthdays. Birthdays mean cake – lots of it. Shared amongst family and friends in a celebration of us getting another year older. Yeah, I hear you – cakes could also be seen as a comfort food, for those of us notching up the years! Yet when I was younger, every year for my birthday I would ask for a Black Forest Gateaux. Especially as the best part was having a slice for breakfast, the day after my birthday. 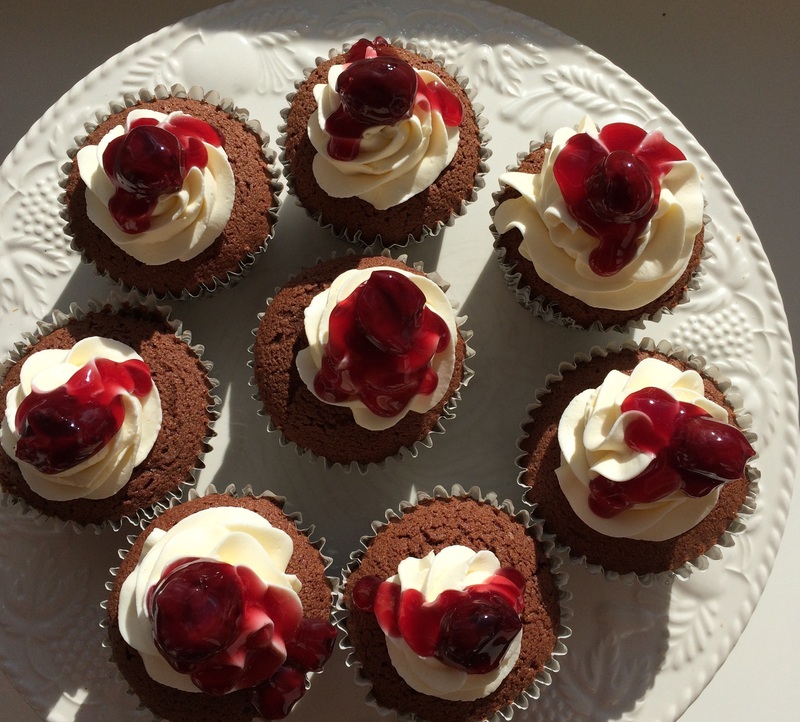 Ooh it tasted so good and my love for this dessert inspired me to make these Black Forest Cupcakes. 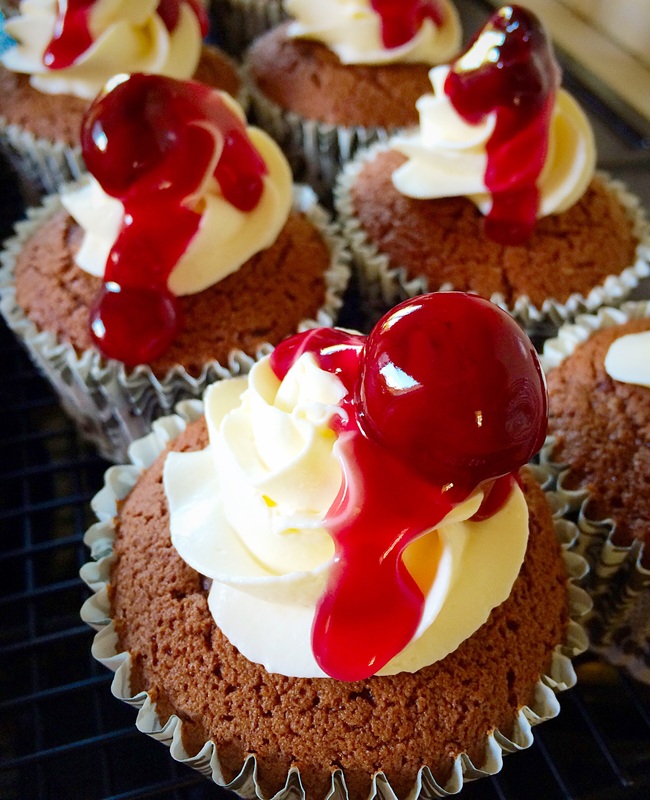 Black Forest Cupcakes chocolate sponge topped with mascarpone, cherries and drizzled in syrup. Also I have added my own little twists, but the basic components stay the same; lighter than light chocolate sponge, dark cherries in glorious deep ruby syrup and a mascarpone cream topping. Have I got your attention now? Black Forest Cupcakes perfect chocolate, cherry treats. Previously as I’ve mentioned before on this blog, I actually don’t bake cupcakes very often. Such was my craving for the taste of Black Forest Gateaux that I finally conceded to make these Black Forest Cupcakes. Ina Garten, The Barefoot Contessa herself is famous for saying she likes “Rembered flavours.” Since our tastebuds can transport us to various places and times the instant they are tantalised with a remembered flavour. 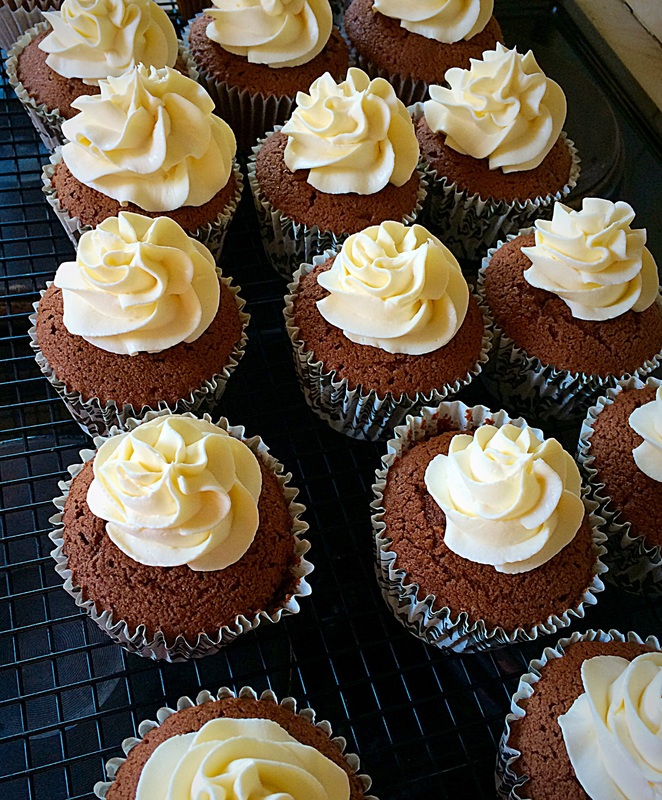 Black Forest Cupcakes so do that to me. Memories of birthdays past flooded my brain as I took the first bite. Delicious does’nt even begin to describe how good these cupcakes are! 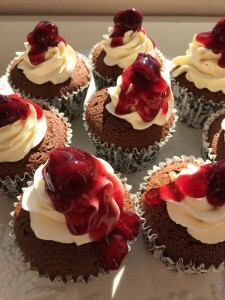 Black Forest Cupcakes cherry-chocolate heaven in a bite. 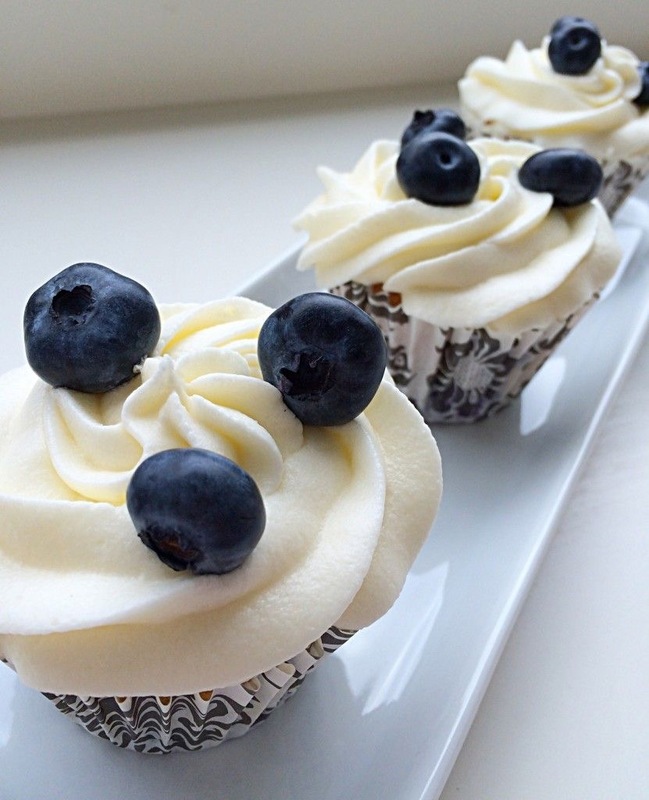 Using mascarpone/cream for the topping gives these cupcakes a rich, deep, creamy flavour. 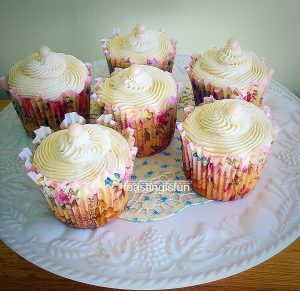 You can see I haven’t overloaded these cupcakes with topping. A small swirl, topped with a syrupy cherry, is the perfect compliment to the moist, light, chocolate, sponge. Ok confession time!!! After these Black Forest Cupcakes had been assembled and had their beauty shots taken, I unashamedly face planted, straight into one. Mmm what’s life without a little fun?? So I had to wash my face, hands afterwards – it was totally worth it. If you make these, I encourage you to do the same – have some fun!!! Method : Preheat oven to 180C/160C fan, 350F, gas mark 4. Place the butter, sugar, vanilla extract and salt in to a large bowl. 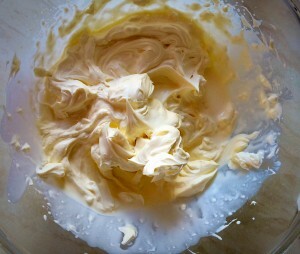 Whisk the butter, sugar, vanilla and salt until pale and creamy. 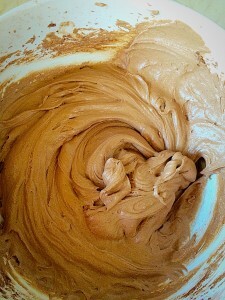 Sift the flour, cocoa and baking powder together into a seperate bowl (dry mix). 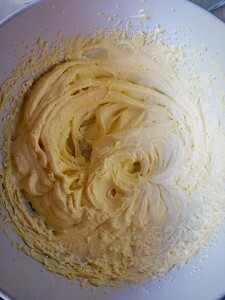 Add one third of the dry mix to the creamed butter mixture, whisk briefly and then add 2 eggs and whisk again. Repeat the last 2 steps again and then finish by adding the milk and the last of the dry mix. Whisk until fully incorporated. 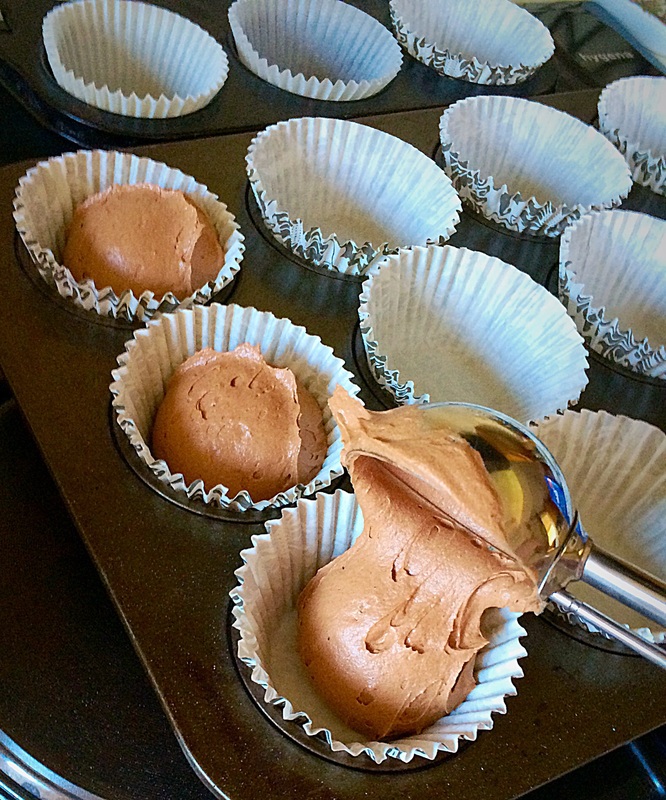 Place 18 cupcake cases into the cupcake pans. Use a standard ice cream scoop to fill the cases evenly with the chocolate batter. Continue until all the cases have been filled. Place the pans into the preheated oven and bake for 15 – 20 minutes. 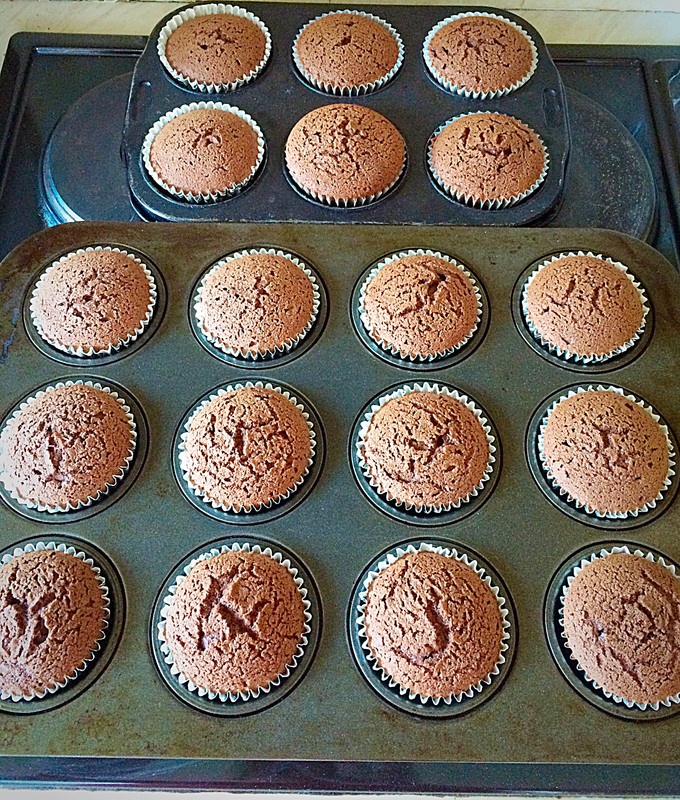 The cupcakes are cooked when pressed lightly on top, the sponge springs back. Black Forest Cupcakes all even the beauty of using an ice cream scoop!! As soon as the cupcakes are baked remove from the oven. 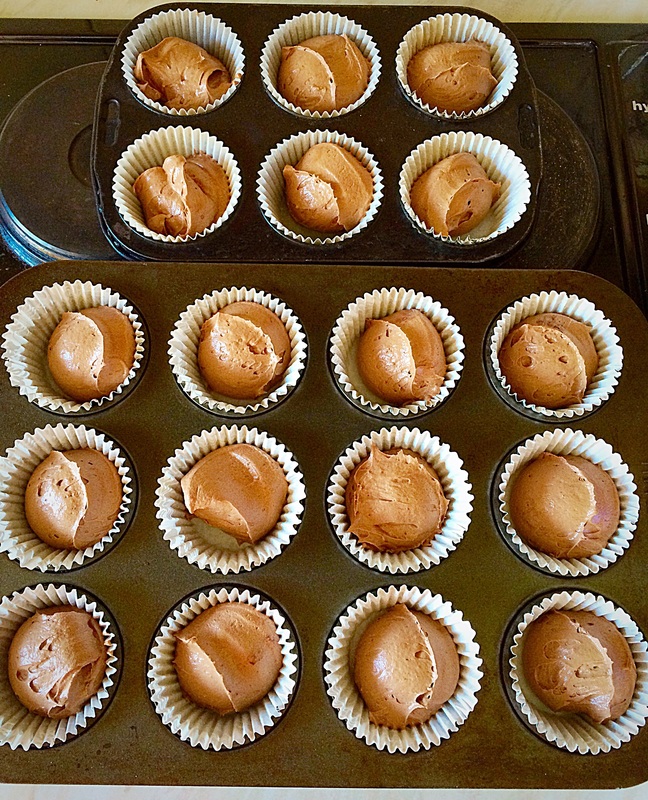 Remove the cupcakes from the pan and leave to cool completely on a cooling rack. 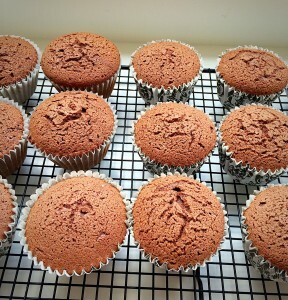 Black Forest Cupcakes cooling on a rack. To make the topping, whisk together the mascarpone, cream and caster sugar until stiffened. This process can easily done by hand, it takes very little time – beware of over whisking!! 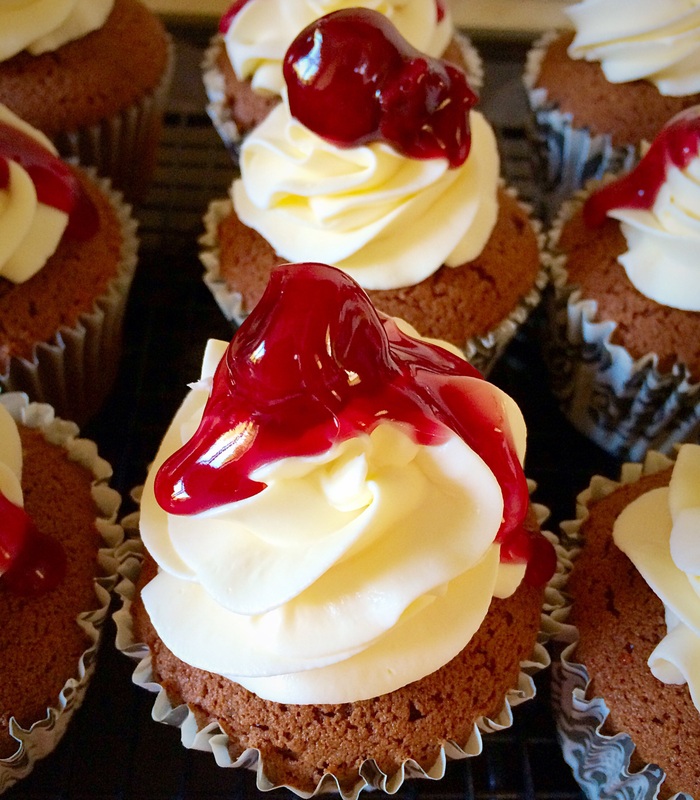 Black Forest Cupcakes whip the mascarpone, cream and sugar together. Fit a large piping bag with a large star tip, I use Wilton 1M. 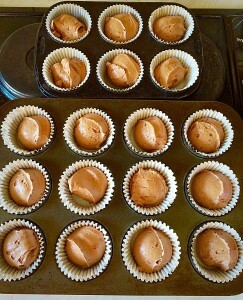 Fill with the mascarpone mixture and pipe small swirls on top of each cupcake. 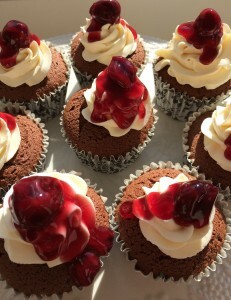 Black Forest Cupcakes pipe a small swirl of mascarpone cream onto the chocolate sponge. Tip the cherry pie filling into a bowl. 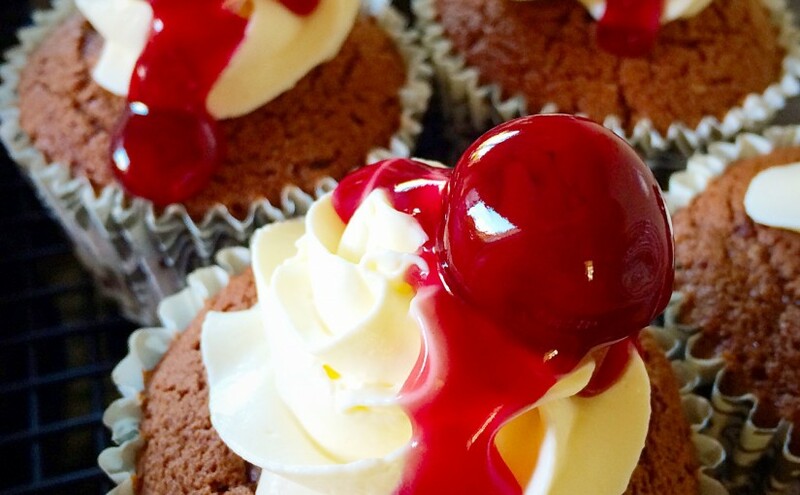 Using a spoon place a cherry on top of each of the cupcakes. 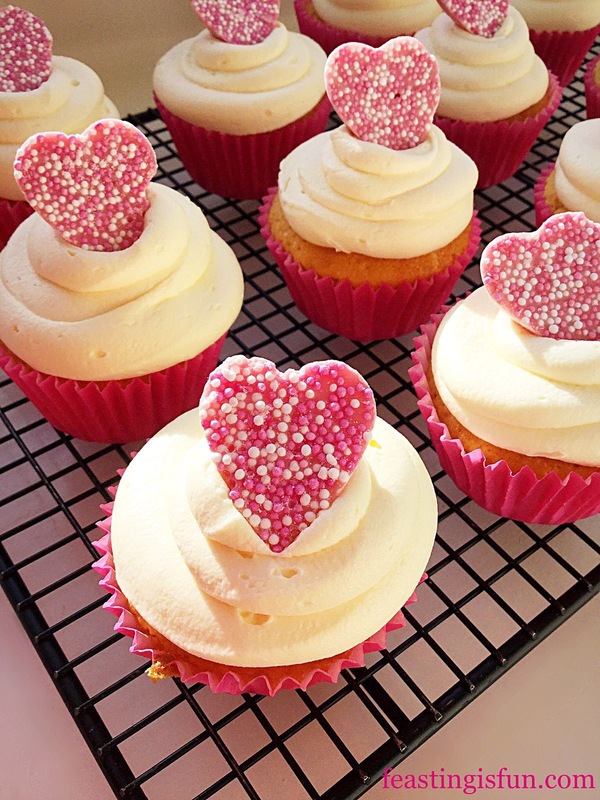 Finally, go back and drizzle a little of the syrup over each cupcake. 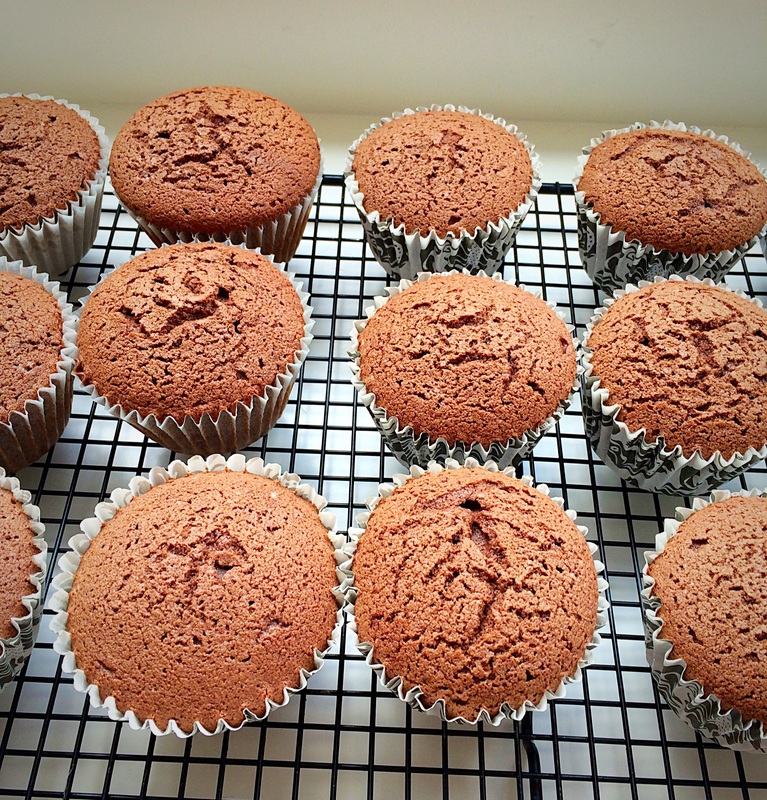 If not eaten immediately, these Black Forest Cupcakes need to be kept refrigerated in an air tight container, where they will keep for up to 3 days. Do you have a favourite ‘remembered flavour’ from your childhood?